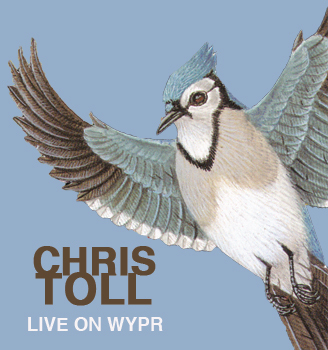 A few years ago, maybe 2006 or 2007, when Chris Toll, author of The Disinformation Phase, had just come out with his books Be Light and my personal favorite, Love Everyone, he read at Baltimore’s local NPR station, WYPR. Recently, Aaron Henkin sent me a disc of the recording. Why not post some of your favorite lines in the comment section?